This episode was recorded last Spring when Trish and Nick embarked on an all-expenses-paid trip around Spain to experience Porcelanosa’s showrooms. 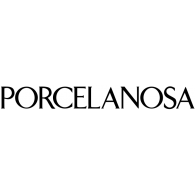 Porcelanosa is a tile and amenity manufacturer whose sleek showrooms are designed to dazzle – and that’s certainly what happened. When Trish entered Porcelanosa’s competition to win a spot on the tour, she didn’t win. Instead, her application was so creative that the tile manufacturer created a spot especially for her, a student! She learned a ton on the trip, which is detailed in a blog here, and came out with some great advice for students: even if you are nervous, get yourself out there and be visible in the industry. From this trip and this interview, Nick and Trish launched The Student Lounge. Trish says that’s a lesson in itself: because there is so much room for creativity in this industry, getting yourself out there can bring exciting opportunities. Take Nick. He’s not an interior designer, but became an influencer in the industry just by connecting with people. Not only does he run The Chaise Lounge, but you can find Nick at markets anywhere and everywhere, speaking about marketing and personal branding and facilitating all sorts of panels with designers. To learn more about Nick and his events at markets, head over to The Chaise Lounge Podcast. Thanks for listening! Episode 3 is available now. Great job Trish and the IMay Team. Looking forward to hearing the shows!